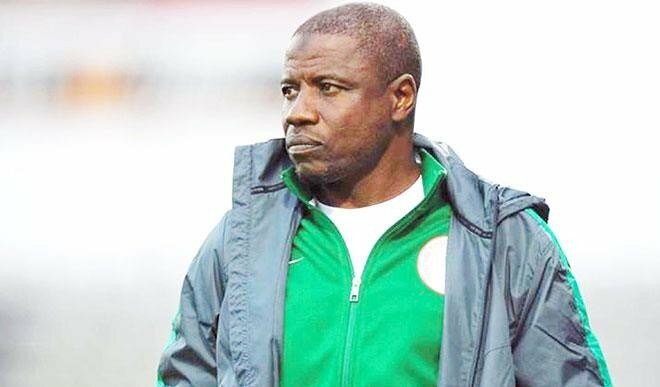 Coach of the home-based Super Eagles, Salisu Yusuf, has insisted that his boys can beat any team in the African Nations Championship (CHAN) ongoing in Morocco. Nigeria began their quest to win this year’s competition, with a 0-0 draw with Rwanda on Monday night. The Eagles, who hit the woodwork three times, failed to capitalize on their superiority in the game. But speaking afterwards, Yusuf refused to describe it as a setback. “Generally, it is not much of a setback because we created chances and we couldn’t score but I believe with the type of chances we created against Rwanda, we can beat any team anytime in the tournament. “The game was a good game and both teams created chances in front of goal but Rwanda was good defensively. “Though we wanted to win but [sometimes] the pressure gets to you. It was a good game and we will start focusing on the next game. “We know that Libya have won their first game. They have three points and we have just one but I think football is about the moment. “So, I think it is not yet concluded and we know that anything can still happen. So, we still remain positive and focused on the rest of the games,” he said.